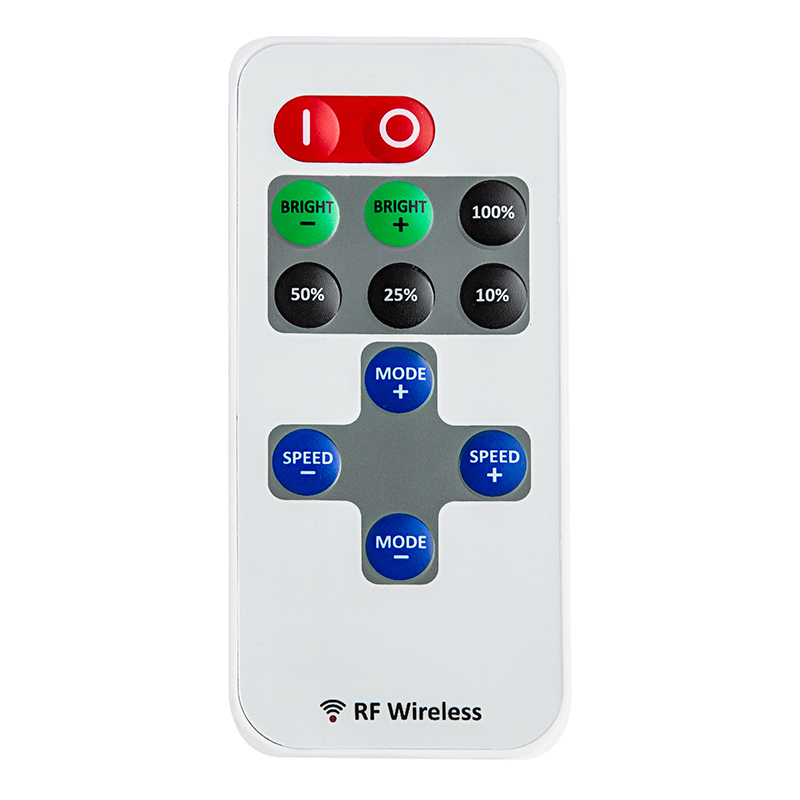 This LED controller with wireless RF remote is perfect for operating your single-color LED light strips. Choose from 8 dynamic light modes with adjustable speed and brightness levels, and control your light strip from up to 50' away in open air. Power-cycle mode retention allows your light strip to return to the mode that was selected before it was powered off. 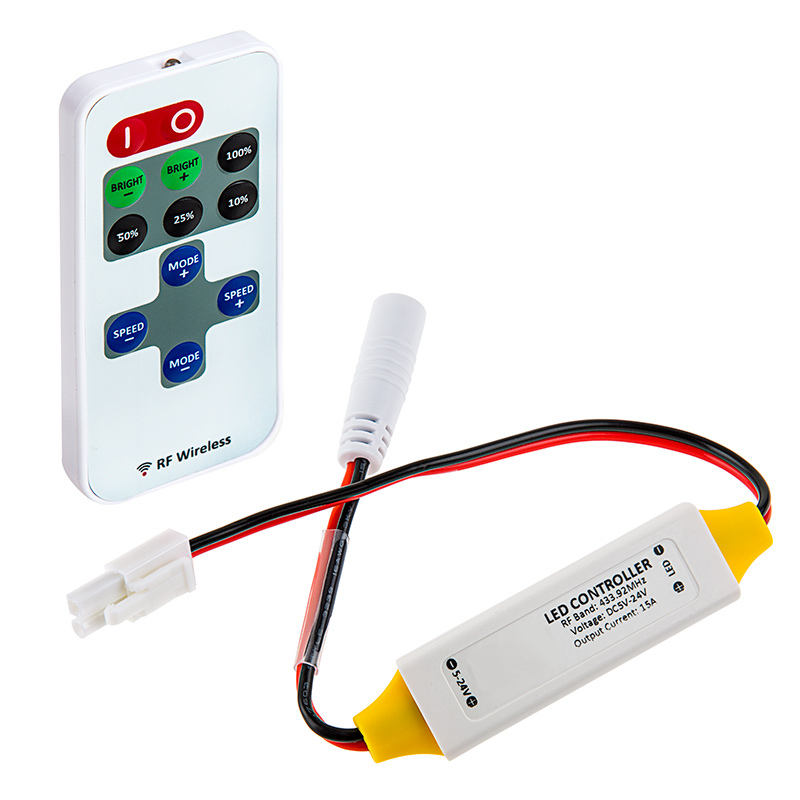 The waterproof remote has a maximum load capacity of 15 amps and is compatible with LED light strips that operate within a 5-24V DC range. A male LC2 locking connector easily plugs into the female connector on your light strip. Pair up to 3 remotes with the controller. Includes remote battery. Increases(+) or decreases(-) the brightness level of the light. Initiates Brightness Level Mode if Dynamic Mode is currently active. Activates the brightness level indicated on the button label. These individual brightness levels are also accessible through the Mode(+)/Mode(-) Bright buttons. Dynamic modes feature a variety of brightness transitions and patterns, with 8 distinct modes. 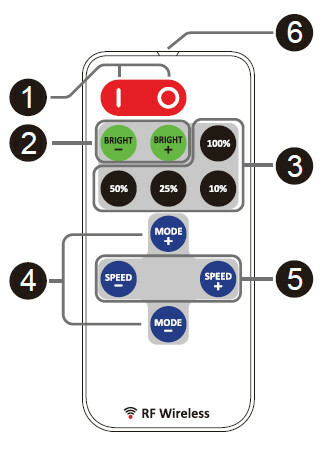 These buttons initiate Dynamic Mode and cycle through the modes in ascending or descending order. Increases(+) or decreases(-) the speed of the currently active dynamic mode. Initiates Dynamic Mode if Brightness Level Mode is currently active. Adjusts brightness in static light mode. Press Flashes blue when remote is operating to indicate that the remote is functioning properly. The controller/power supply operates at 5-24VDC. The red wire is positive(+) and the black wire is negative(-) as indicated on the controller housing. 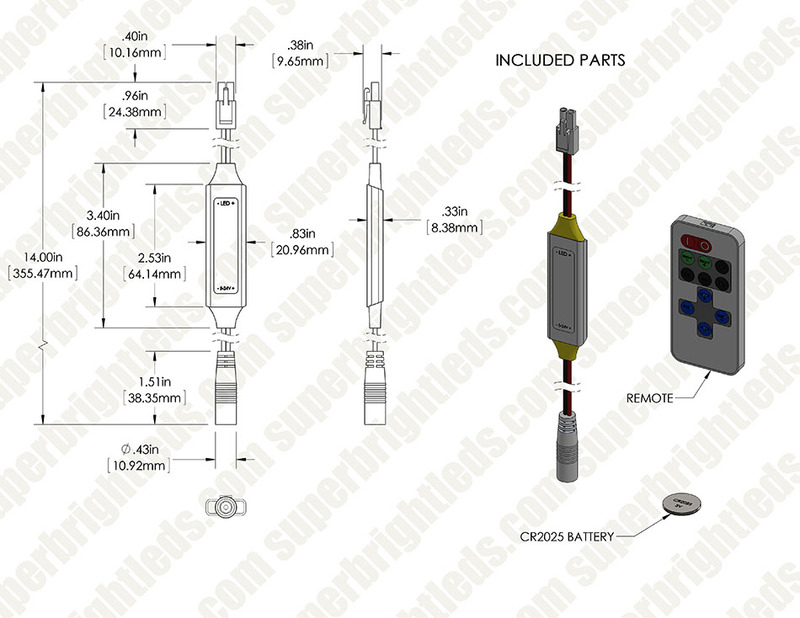 Make sure the power voltage matches the LED strip requirement. Incorrect voltage may damage the LED strip.